If you are someone who is dealing with diabetic digestive disorders, you are going to be in need of proper treatment to give you some relief. Acupuncture has long been a way to help offer relief to those who are suffering from any number of health conditions, including those that are related to diabetes and the related symptoms. One of the most common issues related to diabetes is gastroparesis. Commonly caused by some sort of damage to nerve fibers that work to control movements within the stomach, gastroparesis is a condition that inhibits the stomach’s ability to successfully move the food that needs to make its way into the small intestine. 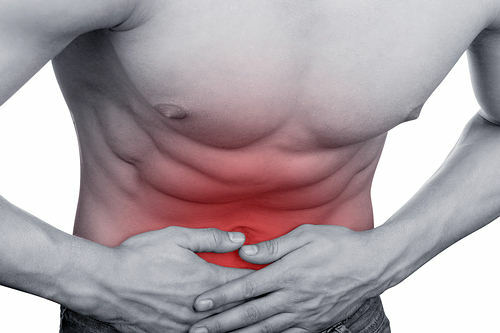 When the emptying of the stomach is slowed, there can be a variety of symptoms that may include vomiting, nausea, a feeling of being very full after eating, the loss of appetite, bloating or discomfort within the upper portion of the abdomen. In addition to acupuncture, some of the other treatments that are currently available include gastric electrical stimulation, medications, injections of botox, IV nutrition and more. Modern eating habits and having an incredible dependence on processed and pre-packaged foods can be a number one reason why someone may start to develop diabetes and a number of conditions of the stomach. There can also be a noticeable increase in digestive issues that may include heartburn, stomach upset, diarrhea, gas, indigestion, constipation and others. While the best way to treat any of these issues could be changing up your diet and eating habits, you will find that diabetes digestive disorders are going to be successfully treated when you have a chance at working with someone experienced in acupuncture. Due to the fact that there can be any number or combination of digestive disorders that come from diabetes, it is important that you have a chance at treating the body as a whole. There are a lot of different acupressure points that are very important when it comes to fixing some of these issues and helping you to feel your absolute best. When done correctly, acupuncture can help you with the inflammation of your digestive linings that may be inflamed while restoring the energy flow that goes throughout your body. Union Valley is the location that is found right in the webbing of your index finger and your thumb. When this area is stimulated, it can improve the function of your intestines or even help you to alleviate constipation, diarrhea and pain in the abdomen. Crooked Pond is a location found at the top portion of your elbow crease, right at the edge of the joint. When you stimulate this point, it could help with cramping in the abdomen, diarrhea and digestive upset. Inner Gate is a point that is found just three fingers above the crease of your wrist, right in the middle of your arm on the inner portion. When you stimulate this area, you have the ability to relieve indigestion, aching in the stomach, anxiety and vomiting. Three Point Mile is a spot found on the outer portion of your leg, just three fingers under your knee. When this region is stimulated, you will be able to treat issues such as gas, nausea, ulcers, enteritis, digestive wall upset and bloating. Not only is it important for you to learn all about the various foods that you can stay away from to help you with diabetes digestive disorders, but you are going to find that proper treatment from a professional will be crucial to healing. Acupuncture is an incredible way for you to get back on track and feel good each day with a renewed sense of well-being despite your diabetes diagnosis.